The fun part about DevOps is that this system works already for years. Yes, you had in the past a strict line between those two departments, but since Dev and Ops went into large scale enterprises with a lot of hardware, network and application infrastructure, Development and Operations worked closely together. 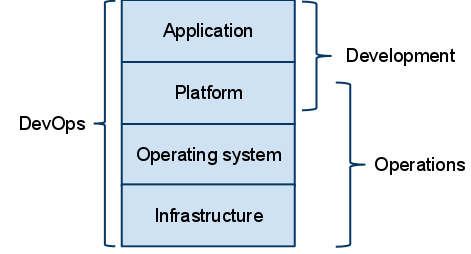 Operations is telling Development about infrastructure, and how Development needs to design their software, in regards of Hardware and Network Infrastructure. This workflow is old school, but only now it got momentum and is discussed publicly. The idea of working together is not novel, but there is a meaningful difference between “I talk to those people” and “we are on a team together” and “we are the same person”, which are what I see in DevOps. right, since agile software development and agile system administration (scrum etc.) Development and Ops can only work in a full fledged team. 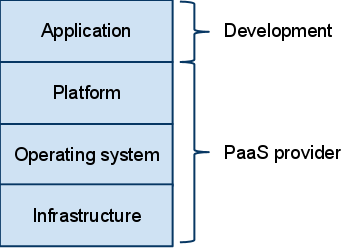 OPS System Architects + Dev Application Architects need to work closely together. which was on high scalability a few months back, covers some of the same points — and also has some concrete suggestions to move two split, distrustful teams in that direction. In a previous workplace, which had this problem to an extreme degree, this helped us at least get a few people from the opposing team (in that case, dev) working closer together. Yes, that deck is a good introduction to devops and stands on its own without a speaker. 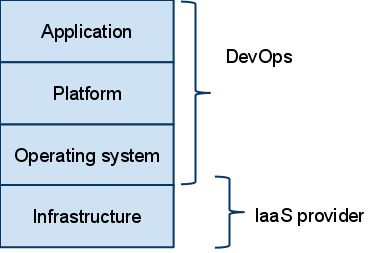 In this post, I tried to give just enough of an overview to make my point about the relationship between devops and cloud computing. There’s a lot more to say about both topics. I agree that, provided you have an IaaS/PaaS setup, you are able to use a DevOps cross-functional team. During the last fifteen years, we have struggled to control the chaos inherent to software development. Well-managed iterative lifecycles isolate the team from external distractions (feature requests, changes on existing features, non-critical bugs…). These distractions are delayed until the ongoing iteration is completed, so the team stays focused, and the actual outcome is closer to the plan. In a DevOps scenario, either “the Cloud services” handle these issues, or predictability will be sacrified in order to keep agile and cross-functional teams.